All guest rooms were remodeled in August, 2015.
our hotel is the perfect base for your trip. 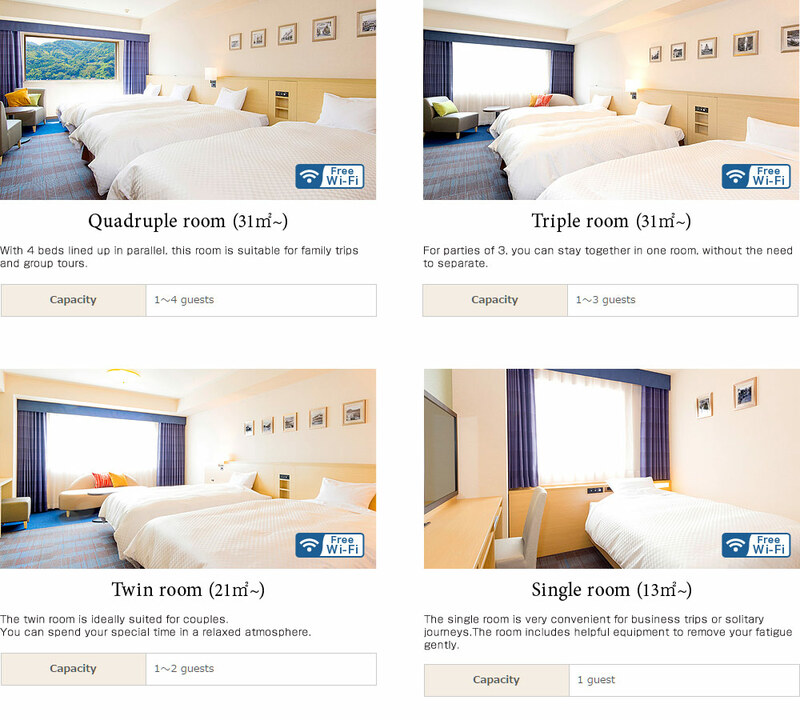 twin for couples and families, as well rooms with 3, 4 and 6 beds for families and groups. 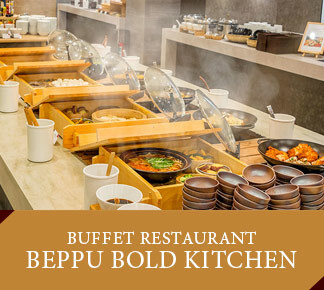 For meals, you can choose among 2 types of restaurants: Japanese and buffet. 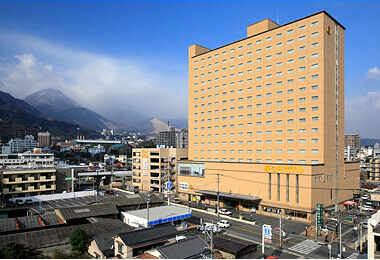 Beppu Hot Springs are rich in hot water. You will feel rejuvenated after bathing in our large spa or open-air bath in the hotel. The hotel have three restaurants. 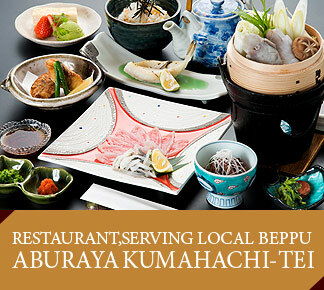 You can choose from the following three restaurants type.Japanese food, buffet and family restaurant. You can enjoy "tori-ten"(chicken tempura), "ryukyu"(sashimi marinated in soy sauce, sugar and sake, etc), a popular Beppu specialty. You can enjoy various kinds of food, including Chinese, Japanese and Western. For ordinary inquiries, we can only respond in Japanese. Please note that there may be times when it is impossible to provide a response in other languages. ※Click the scale [+][-] on the map to zoom in or zoom out. Drag to move. Note 1) %: Percentage of cancellation fee for room charge. Note 2) When shortening your stay, a cancellation charge is applied only for the first day of arrival, regardless of how many days are canceled. Note 3) For group booking of over 15 guests, please contact us for details with the E-mail or phone call to 0977-22-3301. 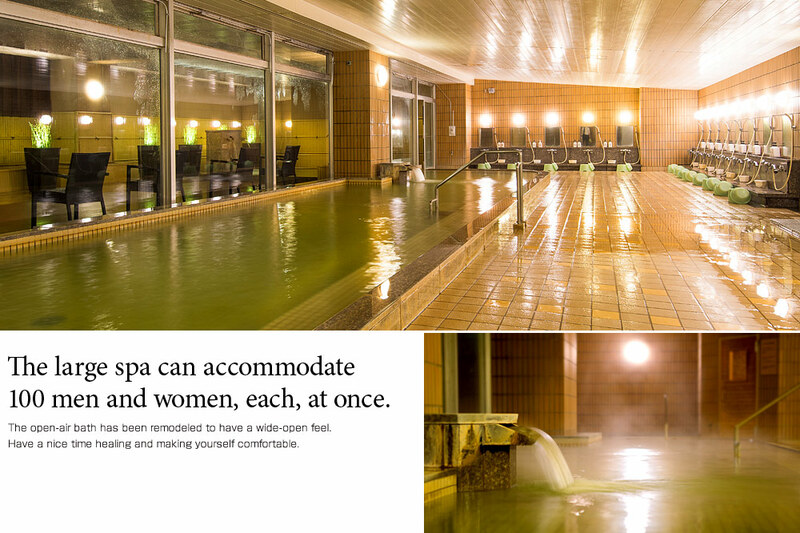 Large Spas, Saunas, Open-air Baths, Beauty Treatment Salon "KOTOSUISHO" and Amusement center. Banquet Rooms, Conference Rooms and Buffet Restaurant "Shidaka"
Reception, Japanese restaurant "Aburaya Kumahachi-Tei" and Gift Shop.